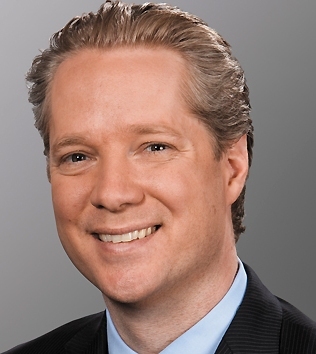 Scott Keogh was named President of Audi of America immediately to replace Johan de Nysschen who left to run Nissan's global Infiniti brand after a 20 year career at Audi, 7 1/2 years in the top job. Keogh has been Chief Marketing Officer at Audi of America for the past six years leading all product planning for the U.S. market in addition to marketing and advertising campaigns including the Truth in 24 documentaries about Audi at the 24 Hours of Le Mans endurance race; Super Bowl advertising; a significant push into social media; and product placement, such as seen in the Iron Man movie series. Keogh helped the introduction of Audi TDI clean diesel technology to the U.S. market by positioning it as a social cause rather than an engine option. He developed the strategy to re-introduce RS performance models, including the new RS 5 coupe and also advocated for the return of the Audi allroad, as part of a strategy that has resulted in 14 new Audi model launches for American consumers since 2006. Prior to joining Audi, Keogh worked at Mercedes-Benz USA for more than a decade as general manager of marketing communications and general manager of Smart USA and before that Keogh was responsible for corporate communications for MBUSA. Keogh has a Bachelor of Arts from Hobart and William Smith Colleges in upstate New York. 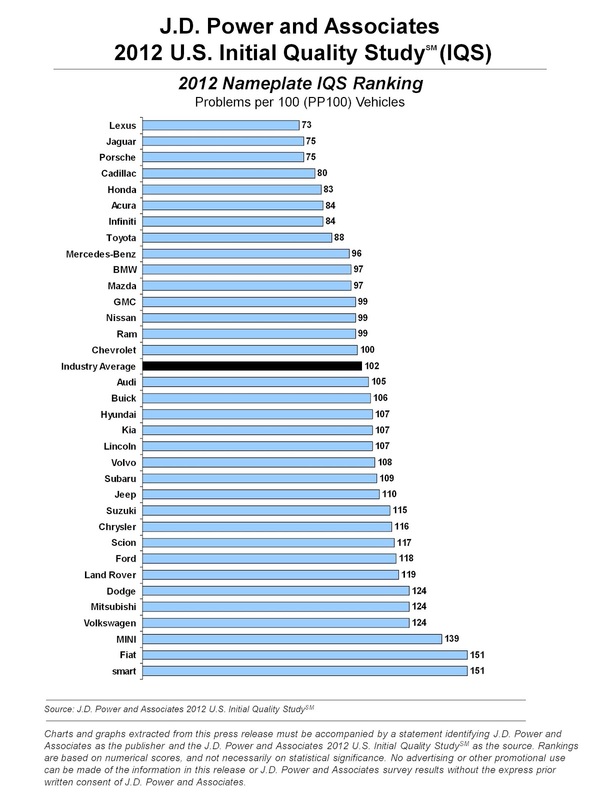 "Vehicle manufacturers posted the strongest improvement in initial quality since 2009 and are producing higher-quality vehicles than ever before", according to the J.D. Power and Associates 2012 U.S. Initial Quality Study. 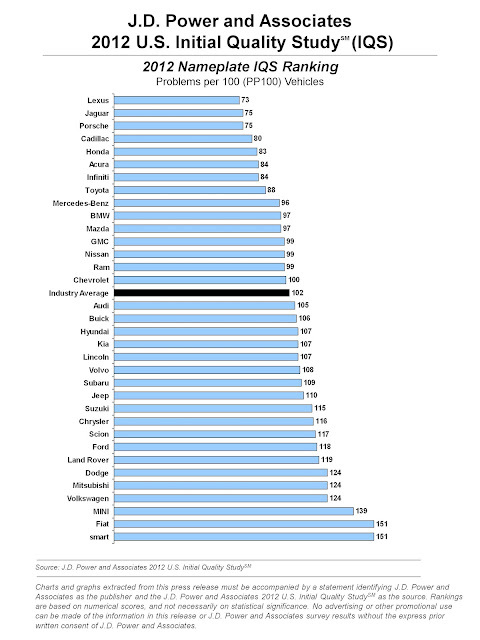 Overall initial quality for the industry improves by 5 problems per 100 vehicles (PP100) to average 102 PP100 in 2012--an improvement of 5 percent from 2011. Of the 34 brands ranked in the 2012 IQS, 26 have improved from 2011, five have declined, one scores the same as in 2011 and two were not included in the 2011 study. Of the 185 models ranked in both the 2012 and 2011 IQS, 65 percent have improved. Lexus Is the highest-ranked nameplate for a second consecutive year. General Motors: Chevrolet Malibu, Cadillac Escalade, GMC Sierra LD & Buick Enclave. Other category winners: Mazda MX-5 Miata, Volvo C70, Porsche 911, Honda CR-V & Kia Soul. Derek Jenkins was appointed to the position of Design Director, Mazda Design Americas in April 2009 and one of his first projects was the new highly successful CX-5 that recently went on sale and is in very short supply. As the former Chief of Design for Volkswagen Group North America, Jenkins is credited with numerous concept and production vehicles including the Audi A2, A8 and Volkswagen Scirocco concept. Prior to joining VW in 2000, he held various design roles at both VW and Audi, both in North America and abroad. As Design Director, Jenkins oversees a staff of about 25, which pushes creative boundaries by developing advanced ideas for Mazda's next generation of cars. In this video he shows us the MX-5 Spyder. Derek, 42, like many successful global car designers, is a graduate of Art Center College of Design in Pasadena, California, and comments on what influences his design ideas. Mazda's TAKERI Concept made its North American debut at the 2012 New York International Auto Show in April and is Mazda's first concept vehicle to feature the SKYACTIV-D clean diesel engine and as well as other Mazda-developed, fuel-saving technologies such as i-stop, a stop-start system, and i-ELOOP, a regenerative braking system. TAKERI is likely the next generation 2014 Mazda6 sedan with confirmation expected in late September at the Paris Auto Show. Peter Schreyer, 58, is a highly decorated German car designer who spent most of his career at Audi, starting in 1980, going to Volkswagen and then was Audi's Chief Designer from 1994 to 2002, during which time he was credited with designing the Audi TT, among many radical designs. He was named Automobile Magazine 2012 Man of the Year for his design accomplishments transforming Kia vehicles over the past six years as its Chief Design Officer. He spends a lot of his time commuting between Kia's European design studio in Frankfurt, Germany, Kia's North American headquarters with a design studio in Irvine, California and company headquarters in Seoul, Korea. In this interview, Schreyer says the newly-introduced-to-Korea rear wheel Kia K9 luxury sedan will likely be coming to the U.S. market. The K9 is powered by a 285 horsepower 3.8 liter V6 engine. 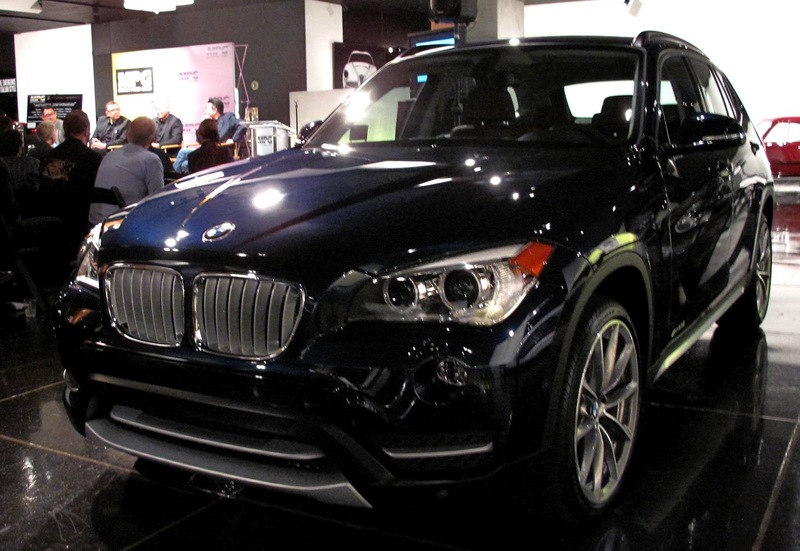 The new 2013 BMW X1 will arrive in the U.S. this Fall starting at an MSRP of $31,545 (including $895 Destination and Handling) with global sales having already exceeded 275,000. X1s destined for the U.S. will be built in BMW’s Leipzig, Germany plant and X1s for the Chinese market will now be built in a newly opened plant at Tiexi in Shenyang Province. All models feature Brake Energy Regeneration while the X1 sDrive28i and xDrive28i models also have Auto Start/Stop and ECO PRO mode to further reduce fuel consumption. BMW xLine, BMW Sport Line and M Sport Package are offered as an alternative to the base trim level. On the tech front, there's Apple iPhone and other smartphones integration as well as music players, including the use of Internet-based services. The Apps option enables iPhone users, among other things, to receive Internet radio stations and to display Facebook and Twitter posts on the onboard monitor. With BMW Apps, iPhone users can access and listen to music streaming services like Pandora and MOG. Other available packages include the Cold Weather Package, Lighting Package and Premium Package. The Driver Assistance Package, Premium Package and Technology Package may be order together as the Ultimate Package. The rear seatback can be split 40:20:40, with the three sections folding down individually or jointly according to need and can be adjusted in ten stages so two 46-inch golf bags can be stowed widthways or, after folding down the central section of the seatback, lengthwise. The through-loading aperture between the outer rear seats can also be used for two snowboards or four pairs of skis. Can't wait! The new 2013 Hyundai Elantra GT five-door compact hatchback with manual transmission will have a starting price of $19,170 (including $775 freight charges) and bragging 39 highway miles per gallon when it begins arriving in dealerships later this month. Elantra GT is powered by a 1.8-liter Nu four-cylinder engine with 148 horsepower and 131 lb-ft of torque, the same as the Elantra sedan. The engine is mated to either a 6-speed manual or 6-speed automatic with SHIFTRONIC®. Elantra GT is available as an Ultra Low Emission Vehicle (ULEV) or Partial Zero Emission Vehicles (PZEV). The Elantra GT with automatic transmission has a starting MSRP of $20,170 (including $775 freight). A couple of the standard features are a driver knee airbag, hidden rear camera, Bluetooth Hands-free Phone System with voice recognition and Blue Link Telematics System. There are two available option packages: the Style Package for $2,750 and the Technology Package for $2,350 which requires the Style package. The Audi A4 sedan starts at $32,500 for the front wheel drive version but with 9 engine/transmission options the price can quickly run up. 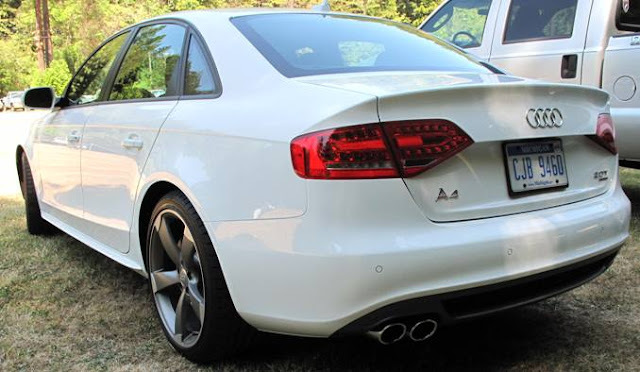 I drove the A4 2.0 TFSI® quattro MT6 (six-speed manual transmission) Sedan which starts at $33,300. Add the $9,500 top-of-the-line Prestige trim package, the $1,250 S line plus package, the $750 Sport Package and the $875 Destination charge and now the A4 has a sticker price of $45,675. The Prestige package features Audi adaptive xenon headlights which pivot up to 15 degrees to allow you to see ahead in the dark by lighting up corners, LED daytime running lights, Audi side assist which helps monitor blind spots and fast-approaching vehicles at a range of 150 ft. at speeds over 19 MPH. MMI® Navigation plus features a 7" full-color LCD screen and MMI control logic equipped with the latest generation of MMI, powered by a 40-GB hard drive and an NVIDIA® processor. When I first saw the A4 parked in the lot - "wow"! I jumped into the comfortable, snug sport driver's seat in Oakland, California and quickly found the key node simple to use for unlocking the doors and opening the trunk. There are two start options, a push button or pushing the node deeper into its slot on the dash. All the controls were ergonomically well-placed so I just had to align the mirrors, press the clutch, press start and was underway. First stop, Ikea where I effortlessly folded down the back seats to make room for the cargo. A performance sedan that can transport long, large and odd-sized objects - great second impression of the A4. It took a while to figure out the sequence and methodology of the driver wheel-mounted controls for the radio which required a combination of using the mode button and rolling scroll control to cycle through the functions to pick a source and then station, but once understood, it was very intuitive and easy to operate without distraction. The sound from the 14 speaker, 505 digitally amplified watt Bang & Olufsen® Sound System was truly incredible. Apparently, microphone-based noise compensation ensures optimum sound under varying road conditions and speeds - I'll take Audi's word on that. The climate controls were efficient, using the same knob for both fan speed and temperature. The rear back-up camera and monitor, an option on many vehicles today, was very helpful. The 211 horsepower turbo-charged 2.0 liter inline 4 cylinder engine provided plenty of power making the six speed manual transmission a fun-to-drive experience. After dropping off the Ikea items in Berkeley in exchange for a passenger, it was time to hit the freeway north over the Richmond Bridge. My passenger quickly noticed that the silver decorative panel in front of him reflected light in his face so had to cover it with a book to cut the glare. Prone to car sickness, my passenger seemed to handle the smooth shifting manual transmission and road-hugging attributes of quattro on the challenging windy roads through the redwoods along the Russian River and the return trip on the scenic back-road route to Berkeley. The Audi A4 passenger comfort even induced a snooze. Time to assemble the Ikea dresser in an apartment two floors above the parking garage. With the key node in my pocket, I assembled the dresser, then took the trash to the parking garage to find the Audi trunk open. Apparently, the "open trunk button" on the node must have depressed during my Ikea efforts. Luckily, nothing was stolen but could have been. This could happen to any vehicle with keyless entry devices where proximity permits vehicle access. So be sure to leave your keyless entry key nodes in a place where this can't happen. The Audi A4 Prestige S Line MT6 Sedan oozed with high performance prestige, provided cargo versatility, demonstrated sporty handling with peppy power and cozy comforts combining to definitely show off, inside and out, as an all-round classy vehicle. The Audi A4 deserves all the accolades. All-new 2013 Nissan Altima, Nissan's top selling nameplate, is on its way to dealers. The 182 horsepower 2.5-liter 4-cylinder Altima, with a standard 18-gallon fuel tank, is capable of going up to 684 miles on a single tank of fuel getting 27 mpg city, 38 mpg highway and 31 mpg combined. Nissan says more than 30,000 customers have expressed an interest in the Altima through the pre-order website, which also offers those placing an order a complimentary three-year scheduled maintenance program valued at $700. The first 2013 Altima rolled off the assembly line in Canton, Mississippi on Wednesday, a few weeks after the first Smyrna, Tennessee-built 2013 Altima. Nissan has an aggressive goal to triple the number of exported Altimas in the next two to three years. Prices for the 2013 Nissan Altima start at $22,500 USD for the Altima 2.5 S. With the all-new Altima set to go on sale, through the first five months of 2012, current Altima sales are 112,599, up 29.7 percent over 2011. Altima has accounted for 28.6 percent of all Nissan and Infiniti sales this year. This is a BIG new product launch for Nissan, as Altima is the first of five all-new vehicle introductions in the next 15 months. 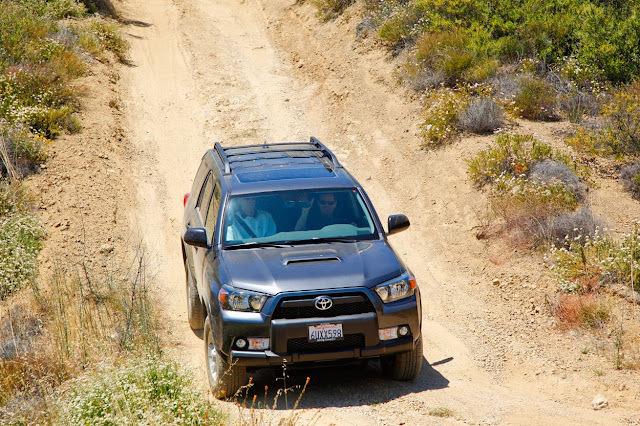 If you have an all-wheel or four-wheel-drive SUV or truck, you may have never used some of the features designed for off-road, steep hill and rugged terrain driving. I spent my birthday this week behind the wheel of SUVs and trucks crawling along the uneven, rock-filled, dusty dirt roads of the hills of Malibu and celebrated the use of on-board vehicle systems, like Hill Descent Control (HDC), that took away the stress and risks of dangerously steep downhill manoeuvrings. Engaging four-wheel drive low gear for the steep climbs, tight turns and unexpected slipping and sliding was par for the course in these carefully selected, capable vehicles. The Toyota 4Runner Trail edition (below) and Jeep Grand Cherokee Overland (above) were two vehicles with the extremely useful Hill Descent Control that I drove on the more challenging red course at Calamigos Ranch. The temptation is to step on the brake pedal, but you must resist, because that will override the HDC system. The vehicle does it all while HDC is operating - it controls acceleration and braking as needed with the ABS brake system controlling the speed. 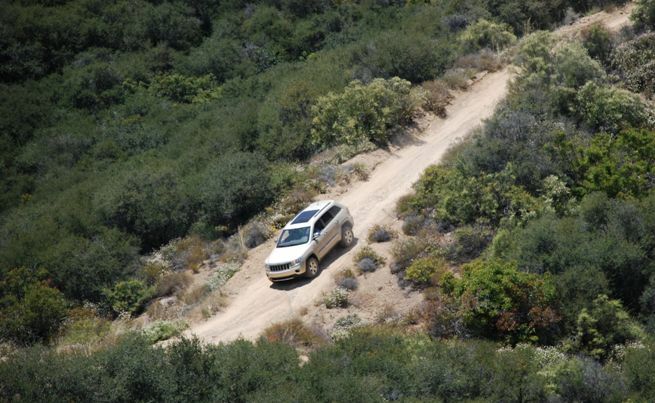 The Honda Pilot Touring edition performed very well on the less-rough but still tough blue course by absorbing much of the bumpy terrain while in 1st or 2nd gear. The Chevrolet Avalanche which looks like it's made for off-road, has a long wheelbase meaning it required some backing-up to make it around the tight hairpins but otherwise was flawless. The key to successfully negotiating uneven slippery dirt roads is to drive slowly and align your wheels into the potholes and water-eroded crevices because the vehicle will slip into them anyway. Also if severe heights, sheer drops and deep canyons are your issues, stay focused on the road ahead, even when the road seems to disappear as you reach the top of a steep incline. Be confident that the event organizers weren't planning to send you off a cliff, if not just to preserve the manufacturer-provided vehicle. One precaution stressed in the drivers' meeting dealt with rocks - drive over them so you're hitting the toughest part of the tire as trying to skirt them could mean a puncture in the vulnerable sidewall. In summary, this off-road exercise showed what manufacturers have done technologically to take the risks out of driving on challenging terrain and reemphasized that being cautious at low speeds makes it much more safer to handle unpredictable, demanding conditions. Being familiar with and knowing how to operate all the features in your vehicle prepares you and makes you ready to have them at your fingertips when needed thus making you a better and safer driver. It was a whale of a good time (pun intended) as my experienced off-road journalist passenger, Greg Whale who joined me on a few of the excursions, kept us on course. Also, my thanks to Chrysler's Scott Brown who made extra sure that I navigated his Jeep with precision utilizing all the gadgets. Note: There were 19 vehicles available to review, including a 4WD Kia Sportage, on two off-road courses of varying difficulty and due to time constraints, not all could be driven. Johan de Nysschen will join Nissan's Infiniti luxury brand as senior vice president of Nissan Motor Company in charge of the Infiniti division based in Hong Kong starting July 1st reporting to Andy Palmer, Nissan Motor Company Executive Vice President, product planning, business strategy, marketing communications and responsible for the Infiniti division. 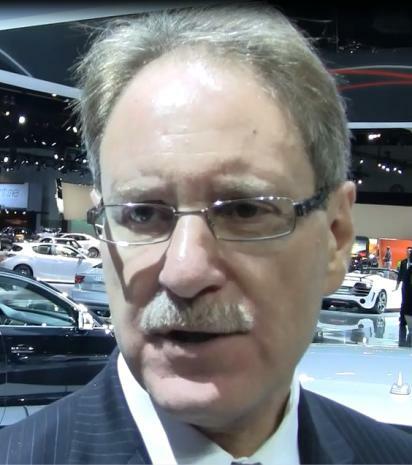 De Nysschen just left his role as President of Audi of America which he held for the past seven years. During his 19 years at Audi he also served in executive positions in South Africa and Japan. Prior to joining Audi, de Nysschen worked for BMW in South Africa. He holds a bachelor's degree from the Nelson Mandela Metropolitan University, Port Elizabeth, South Africa, and an MBA from the University of Pretoria, South Africa. He moves from a U.S. position at Audi where sales records are being set monthly to a global responsibility at Infiniti, a luxury brand that is just launching a worldwide footprint. Geographically, he moves from the Washington, D.C. area to Hong Kong, the former British colony and English-speaking gateway to China and an area where one might expect a factory to be built at some point. Best of luck to Johan in his new challenge. General Motors reported May sales of 245,256 vehicles in the United States, up 11 percent year over year and the highest monthly total since August 2009. GM retail sales were up 14 percent year-over-year and the retail mix was 70 percent. Overall, year-to-date GM has sold 1,066,963 vehicles. Ford Motor Company May sales of 216,267 was a 12.6 percent rise over last year and year-to-date sales are 935,864, a 6.5 percent increase over 2011. Toyota Motor Sales, U.S.A. reported sales of 202,973, an increase of 87.3 percent over the year-ago month on a raw volume basis. The Toyota Division posted May total sales of 181,510, up 88.9 percent over the year-ago month. The Lexus Division reported total sales of 21,463 was up 74.4 compared to last year. Year-to-date Toyota sales are 868,301, a gain of 23.7 percent over 2011. Chrysler Group reported U.S. sales of 150,041, a 30 percent increase compared with sales in May 2011. Year-to-date sales of 689,257, is a 33 percent gain over last year. American Honda reported May 2012 U.S. sales of 133,997, an increase of 47.6 percent compared to May 2011. The Honda Division posted May 2012 sales of 119,411, an increase of 46 percent compared to May 2011. Acura's U.S. May sales of 14,586 was an increase of 62.1 percent compared to May 2011. Nissan North America reported May U.S. sales of 91,794, up 20.5 percent. Nissan Division sales increased 16.4 percent for the month at 81,202 units. Sales of Infiniti vehicles were up 65.8 percent over the prior year to 10,592. Year-to-date sales are 485,484, up 12.1 percent from the first 5 months of 2011. Hyundai Motor America had an all-time May sales record of 67,019, up more than 13 percent over last year's all-time May record, and the second best sales month in company history. Year-to-date Hyundai has sold 292,856 vehicles, an 11.1 percent increase over 2011. Kia Motors America best-ever May sales of 51,771 was a 7.4-percent increase over the same period last year. Year-to-date sales of 237,381, is up 18.7 percent. Volkswagen of America sold 38,657 vehicles in May, a 36 percent jump and year-to-date sales are 170,555, up 36 percent from 2011. 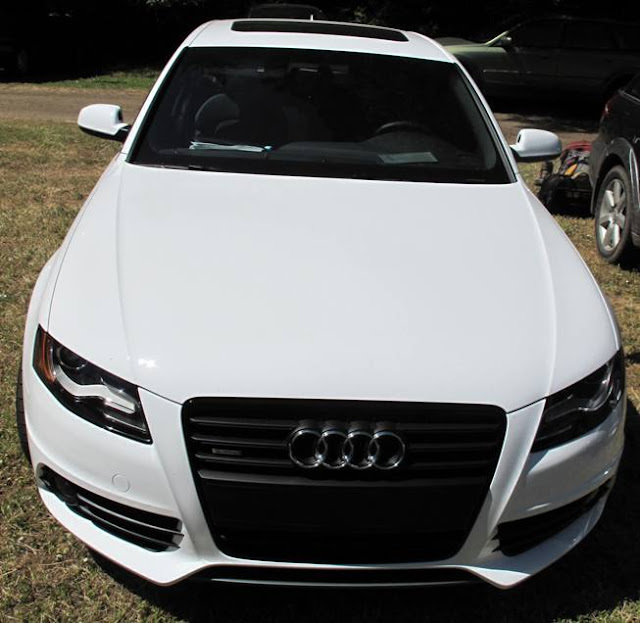 Separately, Audi of America sold a record 11,503 for a 10 percent gain over 2011 for a year-to-date total of 52,494 vehicles, a 15 percent increase over the first five months of 2011. Subaru of America reported record sales for May 2012 of 29,724, a 48 percent gain over May 2011 and year-to-date sales of 136,602 is a 22 percent gain over prior year. The BMW Group in the U.S. (BMW and MINI combined) reported May sales of 28,321, an increase of 7.1 percent from the same month a year ago. Year-to-date, BMW Group has sold 130,843, up 12.2 percent gain for the first five months of 2012. Mercedes-Benz USA reported May sales of 22,515 for its Mercedes-Benz models, a 19.2 percent improvement over May 2011, delivering a year-to-date total of 106,364 new vehicles to customers, up 17.8 percent. Combined sales of Mercedes-Benz passenger vehicles, smart and Sprinter for the month totaled 25,259, up 24.4 percent bringing a year-to-date total of 117,231, up 22.8 percent, making this the company's highest May on record. Mazda North American Operations reported May U.S. sales of 20,357 vehicles, an increase of 13.9 percent versus last year. On a calendar year-to-date basis, Mazda's sales are up 20.2 percent with 123,886 vehicles sold. Volvo Cars North America sold 6,246 vehicles in May, a 15 percent decline from last year and year-to-date Volvo sales are 27,511, a 6 percent drop. Mitsubishi Motors North America reported May 2012 sales of 5,575, its second best month of sales since September 2011, but still 26 percent below the level of sales in May 2011. Jaguar Land Rover sales were 4,513 in May, up 8 percent over May 2011 with Jaguar sales at 1,075, down 15 percent and Land Rover sales at 3,438, a 19 percent gain. Year-to-date JLR sales are 22,865, up 19 percent with Jaguar contributing 5,476, a 9 percent increase and Land Rover 17,389, up 23 percent. Porsche Cars North America announced May 2012 sales of 2,852 vehicles, an increase of one percent. For the year, Porsche has sold 13,448 cars in the U.S., which is a 3 percent increase over last year. American Suzuki sold 2,360 vehicles in May, up 3 percent over 2011 and year-to-date has sales of 10,695, a drop of 4 percent from last year.